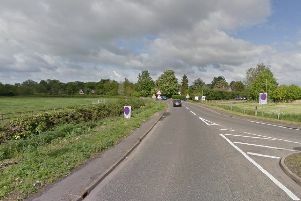 A motorcyclist, believed to be from Peterborough, suffered serious injuries following a crash which shut the A1 in Bedfordshire last night, Tuesday May 25. The crash took place on the A1 northbound between Sandy and the Black Cat Roundabout at 8.30pm and closed the carriageway for a few hours to allow the air ambulance to attend. The crash involved a single motorcycle carrying a man and a woman. The woman is understood to have received serious injuries to her pelvis and legs. The man is not thought to have been seriously hurt. Bedfordshire Police are appealing to anyone who witnessed the crash to get in contact with collision investigation officers by calling 101.